Let the high-octane Swedish crew — including Toxe, Dinamarca, Mobilegirl and more — catapult you into summer. STAYCORE is an international club crew founded by producers and DJs Dinamarca and Ghazal in Stockholm. It includes a loosely defined family of experimental club minds who contribute to STAYCORE compilations and radio shows: people like Berlin-based Swedish producer KABLAM and dembow-loving Londoner Endgame. But the core team (as well as Dinamarca and Ghazal) includes: industrious high schooler Toxe (read her Gen F profile here), DJ and visual artist Alx9696, and producer Mobilegirl. 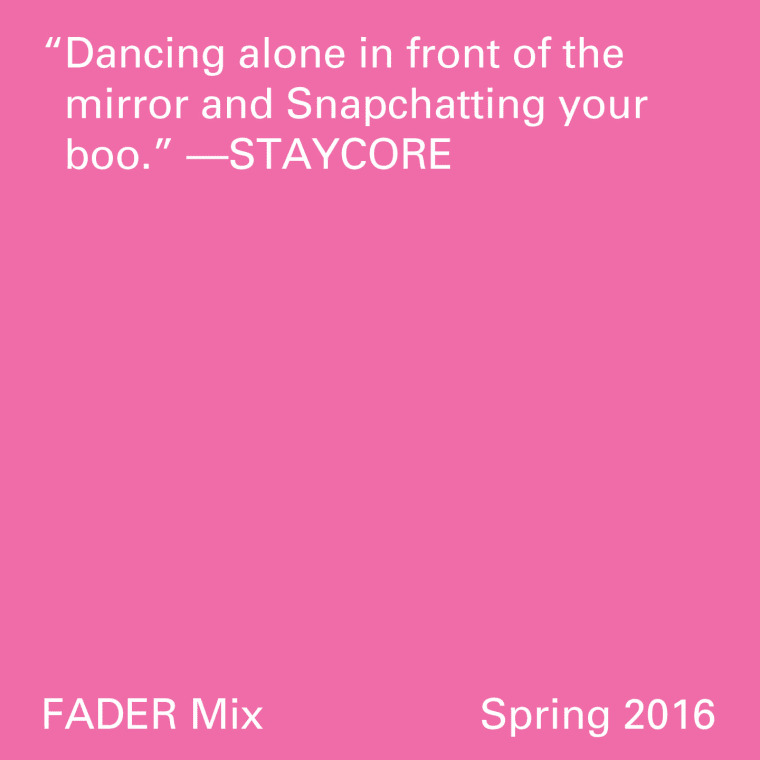 STAYCORE's sound has an anything-goes sense of fun, but tends to revolve around dancehall, soca, kuduro, and hip-hop rhythms: basically, everything you want to hear as summer approaches. 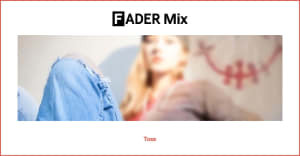 With the crew about to drop a new compilation, The FADER asked Dinamarca and Ghazal to put together an exclusives-packed mix to get us in the mood. Hit play below, and scroll on for Ghazal's thoughts on the origins of STAYCORE, upcoming parties, and her favorite cartoon. lighting and a comfy sofa bed for spontaneous sleepovers. I imagine people listening loudly to the mix while feeling themselves really hard. You know when you’ve had a cute week, nothing bothers you, and you’re trying on different slutty outfits and applying heavy make-up for a night out, and you’re dancing alone in front of the mirror and Snapchatting your boo while your friends are making drinks in the kitchen? That’s the best occasion for the mix. It’s packed with exclusives from our upcoming compilation Erelitha and other unreleased material from STAYCORE friends and fam. Where does the name STAYCORE come from? It derives from conversations we’ve had in the past, about music making and creative freedom. Numerous times, we’ve felt lost and didn’t know how to start or where to head. It’s easy to side-track and generally lose focus on what really matters when you’re dealing with the music industry. For us, the conclusion has always been: Stay true to yourself and it’ll be fine in the end. Because there is no right or wrong when making music really, as long as you listen to your gut feeling and let your core guide you. The name functions as a reminder of that. We are releasing our second compilation Erelitha, with a release party at Panorama Bar in Berlin on June 30. Hopefully we’re doing another Eternal Summer Rave at the end of the summer in Stockholm, since it was so much fun last year. And we’ve got a gig at Norbergsfestivalen in Sweden, it’s a really cute festival that has invited the whole crew to play. Oh! And we just confirmed a Boiler Room show at the end of June. And finally, what’s the last book you read that had a big impact on you, and why? To be honest, we don’t read that many books. Can I mention my favorite cartoon instead? It’s called Steven Universe and it has the best character development ever. 1. Don Sinini - ??? 3. Lechuga Zafiro - ??? 8. Toxe & Mechatok - ?? ?